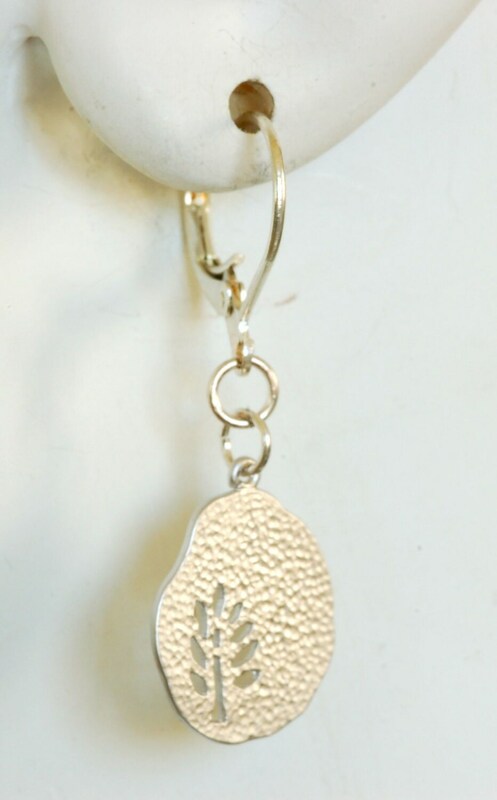 Matte rhodium plated flat hammered disk pendants. Cut out tree form. 15mm across. Silver plate lever back. 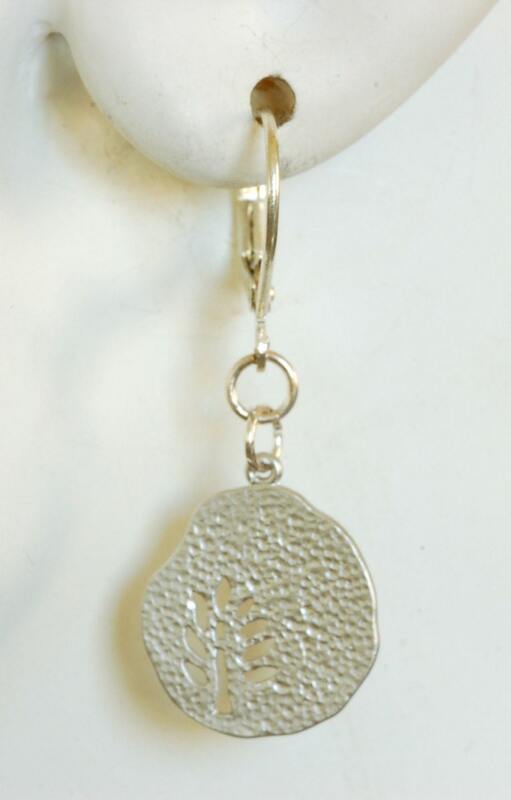 These are great earrings for every day use...lovely imprinted leaves, and lightweight. Wonderful quality..thanks!